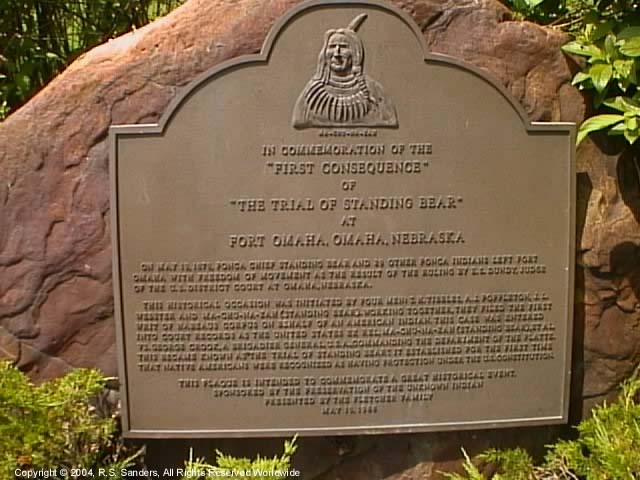 "Fort Omaha Standing Bear Memorial"
News: The Great Plains Theatre Conference received the 2011 Chief Standing Bear Organizational Award for its 2010 readings of Waaxe's Law. Waaxe's Law is the dramatic retelling of the heartbreaking trial of Chief Standing Bear in Omaha, Neb., in 1879, during which Judge Elmer became the first judge to declare Native Americans to be "persons" under federal law. The award was presented at the Chief Standing Bear Commemoration Celebration in Lincoln on May 20, 2011.